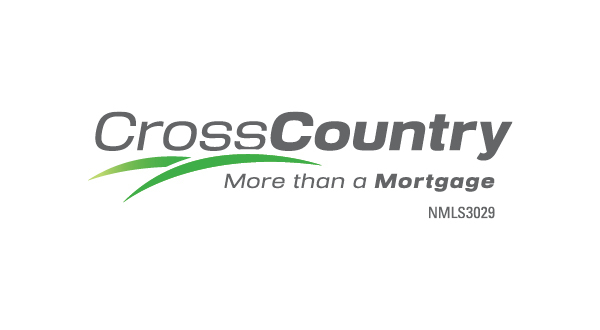 Founded in 2003, CrossCountry Mortgage, Inc. has grown from a single branch with less than 10 employees to a full-service mortgage banker, with 100 branches in 48 states and over 1,000 employees. Headquartered in Greater Cleveland, Ohio, the company offers a wide range of financing options, including fixed rate and adjustable rate mortgages, FHA, VA, USDA, HARP 2.0, Reverse, and Jumbo loans to customers nationwide. Since its inception, the company had run all collaboration, workflow and Microsoft Exchange email software in an on-premise environment. However, as CrossCountry began aggressively acquiring branches nationwide and growth accelerated, IT administrators realized they could scale faster and more efficiently by moving to the cloud with Microsoft Office 365. "Our on-premise IT environment became cumbersome and inefficient. We’d neglected key IT upgrades, so we were playing catch up,” said Alan Rabideau, the company’s Chief Information Officer. “When we made the decision to move to the cloud, we needed someone who could plan and implement a fairly large-scale, challenging migration without disrupting business activities." The mortgage company selected Affiliated, a leading Columbus, Ohio-based IT services company. From planning through implementation, training and support, Affiliated had the experience to handle any size migration to the cloud. “With two-third of our employees operating in a remote BYOD (Bring Your Own Device) environment, Affiliated had the broad depth of IT skills and experience with large companies that fit our needs perfectly,” Rabideau said. The initial plan was to move 700 users from an onsite Microsoft Exchange environment to Office 365 in the cloud. During the migration period, CrossCountry acquired many small firms, adding several hundred more users. So Affiliated executed a “hybrid migration,” giving users a single, seamless appearance, whether working in the cloud or on-premise. “Because we grew to 1,000 remote BYOD employees during the project, Affiliated adapted on the fly, with minimum disruption to our business,” Rabideau said. A hybrid deployment is a complex undertaking, but for a large organization like CrossCounty, it ensures a more seamless experience for users. In email, for instance, Affiliated sent each user a message to turn off and then reopen their account and enter their credentials. Instead of an administrative interaction with each user account, Affiliated’s automated email migration “saved us time and money,” Rabideau said. As another benefit, Affiliated set up an online password reset from Microsoft Azure, another time saver and convenience to users. In a normal environment, if users get locked out with a password issue, they would have to contact a Help Desk or administrator for a reset. With Azure, a click to a website begins a simple reset process. "It’s self-service password management in the cloud, which is important for larger companies like ours. Again, it saves time but also eliminates frustration," Rabideau said. One of the main benefits to upgrading to Office 365 is a financial savings. CrossCountry eliminated 12 terabytes of storage, including annual maintenance and administration costs. Having neglected technology upgrades in recent years, moving to the cloud also meant the company avoided a $100,000 to $200,000 upgrade to its storage architecture as a way to keep up with growth. With an Office 365 Enterprise E3 license, Rabideau no longer worries about future migrations or purchasing the latest software—updates are included and automatically implemented, seamlessly. Moreover, the license allows BYOD users to install Office 365 on five PCs or Macs, five tablets, and five phones—an attractive benefit to users. "Moving to the cloud gave each user access to Office 365 applications and documents from anywhere," Rabideau said. Since the Office 365 interface is relatively consistent regardless of the device used, he added that employees didn't need training for different devices. In addition to cloud-based email, word processing and spreadsheet applications, the Office 365 suite includes online storage, collaboration, instant messaging and video conferencing. "The great thing about Office 365 is that it’s always improving. Typically, we’d pay for upgrades, but now Microsoft does it automatically," he added. "Affiliated did all the heavy lifting in a complex transition to the cloud, including migrating users. Their broad depth of skills, experience with large migrations, and organizational assets were invaluable." A large mortgage company based in Greater Cleveland, Ohio, was undergoing rapid growth, expanding to more than 1,000 employees nationwide. Yet, due to an inefficient on-premises IT environment, the company realized it could scale its business faster and smarter by moving to a cloud-based solution. Affiliated provided planning, implementation, customization, training and support services for a complex “hybrid migration” to Microsoft Office 365 in the cloud. By moving to the cloud, the company eliminated 12 terabytes of storage, saving significant annual costs on maintenance and administration; avoided a $100,000 to $200,000 upgrade to its storage architecture; and increased user productivity in a remote BYOD (Bring Your Own Device) environment. "Compared to our old on-premise IT environment, cloud-based Microsoft Office 365 provides us with a faster, more efficient way to build our business. It’s helping us grow smarter."